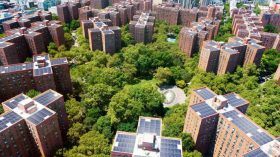 The new owners of the massive East Village residential complex now known as StuyTown plan to spend over $10 million to install 10,000 solar panels on 56 buildings in the complex, the Wall Street Journal reports. Blackstone Group and Canadian investment firm Ivanhoé Cambridge bought the storied complex for $5.3 billion in October 2015. As 6sqft previously reported, the solar investment is part of an effort by Blackstone, one of the world’s largest private equity firms, to generate energy cost savings in its global commercial real estate portfolio. 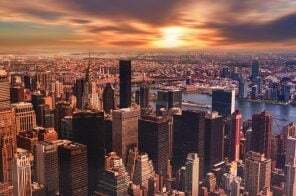 The panels will provide enough power for about 1,000 apartments each year–about nine percent of the units in the 80-acre complex–which Blackstone says will triple Manhattan’s solar power generating capacity and make it the largest private multifamily solar installation in the U.S. 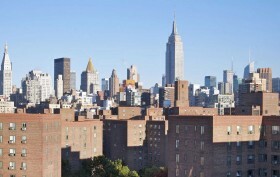 POLL: Will the Sale of Stuy Town to Blackstone Make It a More or Less Desirable Place to Live? 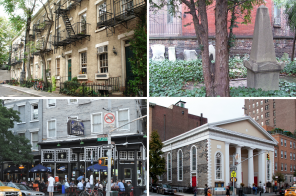 The hot topic right now in the real estate world is undoubtedly the $5.3 billion sale of Stuyvesant Town to the Blackstone Group and Canadian investment firm Ivanhoe Cambridge. Aside from the huge sum and the fact that the apartment complex has been long-plagued, what makes this deal so huge is that the new owners agreed to preserve 5,000 of the 11,200 units as affordable housing. 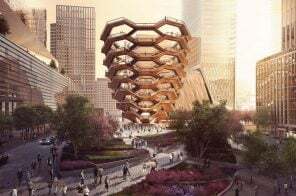 On the surface this sounds like a fool-proof plan, but many of Stuyvesant Town‘s long-time rent-regulated residents may not like the changes, and the newer generation of young professionals might now find themselves making too much to qualify for an available affordable unit. How do you think it’s going to play out? Vote in our poll and share your thoughts in the comments below! 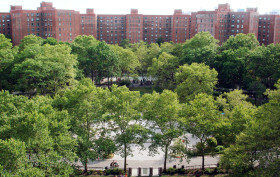 The saga of Stuyvesant Town continues. 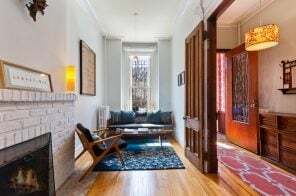 The Real Deal reports that the Blackstone Group has partnered with Canadian investment firm Ivanhoe Cambridge to buy Stuy Town and Peter Cooper Village for $5.3 billion, just slightly under 2006’s $5.4 billion sale. 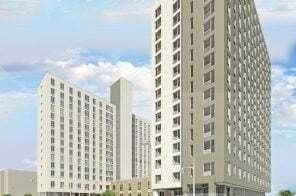 Currently, more than half of the 11,200 apartments in the long-plagued complex (which was built under Robert Moses as affordable housing for veterans returning from WWII) are market rate. And as TRD notes, “As part of the new agreement with the city, Blackstone will reserve 4,500 units at the complex for middle-income families for the next 20 years… An additional 500 units will be slated for low-income families, and Blackstone will not attempt a condominium conversion at the complex.” In order to keep the affordable units, the city will provide $225 million in funding; give Blackstone a $144 million low-interest loan through the Housing Development Corporation; and waive $77 million in taxes.